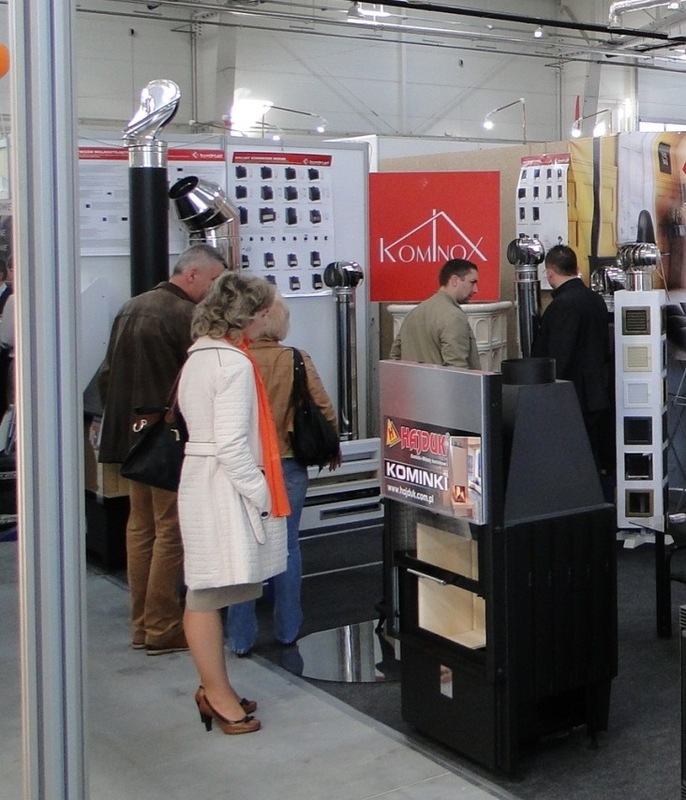 10 – 12 april 2015 in Kilece a Polish Expo for Housing Construction Materials and Interior equipment took place. 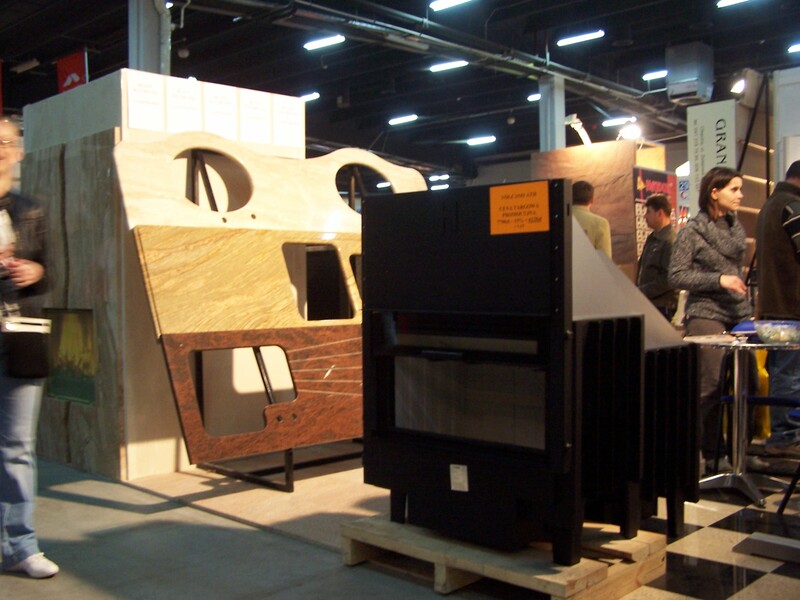 Natural Stone Center showcased fireplace inserts produced by Hajduk company. Investors could see many models, including Volcano 2LTh with lift-up CLING system corner doors and single curved glass, Volcano DTh with lift-up 100cm wide frameless doors and Voclano ATh with lift-up 75cm wide frameless doors – those models offer a horizontal view of the fire, while the Volcano 1VT frameless doors 670 mm x 510 mm offers a great, classic view of the furnace. 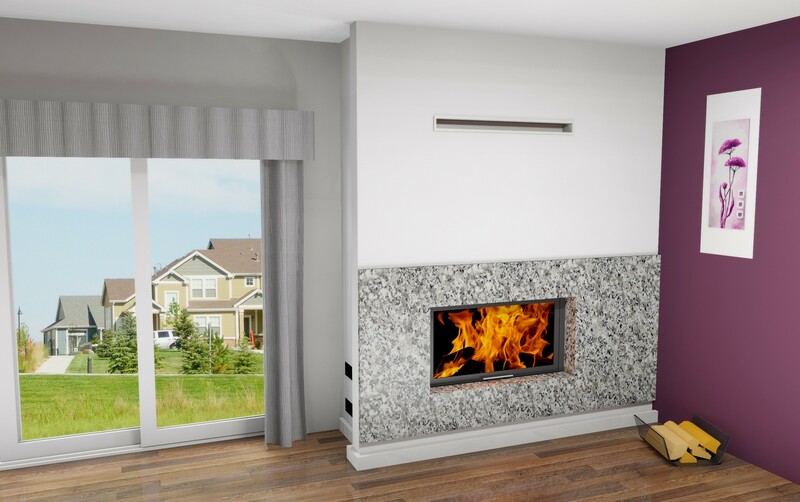 The fireplace insert offer would not be complete without Volcano 3PLh brushed marble (Grey Star Leather). The whole show was a great way to present PREMIUM class Hajduk fireplace inserts. One of the fireplace manufacturers presented our Hajduk fireplace inserts during Budgryf international expo. Those who were interested in the PREMIUM class inserts could see Volcano 1 VTh with frameless doors equipped with CLING system, Volcano 3PLhwith triple lift-up doors and Smart 1VT in white tile casing. 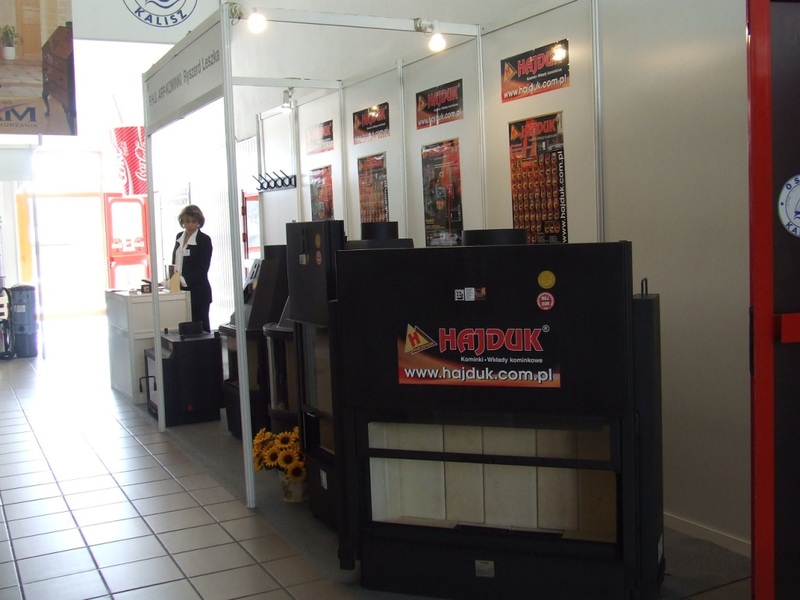 The expo showed that all Hajduk fireplace inserts can be used in homes with mechanical ventilation. 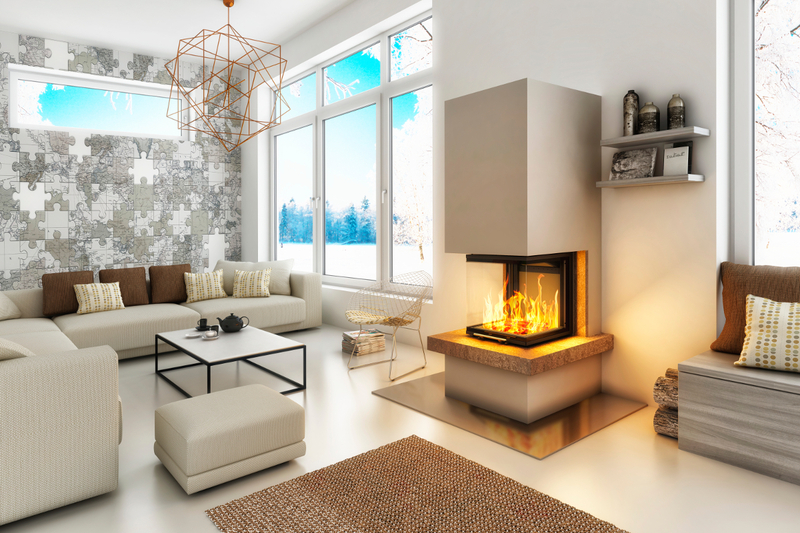 According to the research conducted in December 2014 by one of the leading home and interior magazines, Hajduk was mentioned as the most recognizable brand of fireplace inserts by the readers. In another category – “Investor’s choice of fireplace inserts”, Hajduk got a second place on the podium. From February 27th till March 1st 2015 our potential customers could see Hajduk products during Interbud expo. 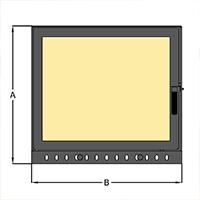 Inserts presented on the fireplace stand were: Volcano 2LTh, Volcano D, Volcano 3PLh. 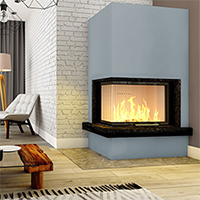 Volcano 2LTh is a well-known fireplace insert with frameless doors equipped with CLING mechanism, while Volcano 3PLh has a lift-up frameless doors and gives an opportunity to observe the fire from three sides due to its curved glass. 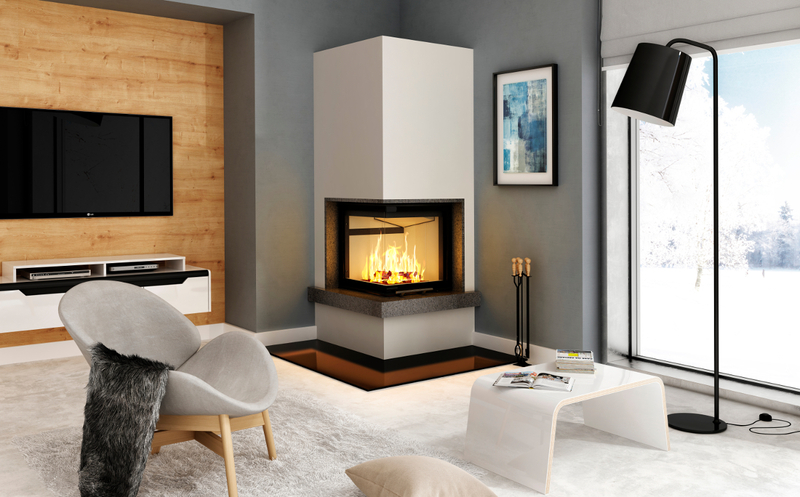 Thanks to Hajduk fireplace inserts you have a lot of options during the fireplace design process and, due to the advanced technology, you can be sure Hajduk offers the best economy and cares for the environment. During the huge expo taking place in Athens our regional representative showcased the full offer of Hajduk fireplace inserts, including Volcano ATh, Volcano 2PTh and Volcano 3PLUh with lift-up doors and Volcano, Smart and Prisma with side-opening doors. The customers were interested in the fireplace inserts equipped with CLING system and inserts with water jacket, which is a great heating alternative in this southern country. Tif Hellexpo in Thessaloniki is the biggest home expo in Balkan region. Our regional representative showcased the best Hajduk fireplace inserts: Volcano 1V with side-opening doors, Volcano 1Vh with lift-up doors, Volcano 2PTh with corner doors and Volcano ATh. Despite the hot, summer atmosphere, the expo visitors gladly spent their time near a warm, burning Volcano 1VTh. The insert gave a clear view of the furnace and has shown great energy transfer capabilities. 24th edition of BUDGRYF expo gave our representative an opportunity to show Hajduk fireplace inserts, including great Volcano AT with horizontal view of the furnace (650mm x 450mm) with an additional brushed steel decorative blende and two lift-up doors models – Volcano 1VTh (simple doors) and Volcano 2LTh (corner frameless doors with curved glass). Both fireplace inserts are equipped with CLING closing mechanism. The expo was visited by numerous investors searching for a new way to refurb their house or design the interior. Another edition of Lubdom construction expo allowed our representative to show Hajduk fireplace inserts: Volcano 2PT 51 with side-opening frameless doors, Volcano 2LTh 51 and Volcano 1VTh (both with lift-up frameless doors). Burning in those models is enhanced due to the well-known Jet Stream Superior system, while the new CLING system allows for easy, secure closing of the door and a steady pressure. Poznań once again was a city where the biggest firplace expo in Poland took place. Our company used a huge 120 sq.m. area to show all we have to offer, including the newest technologies. Visitors could see inserts such as Smart 2LT/2PT with side-opening frameless doors, Smart 2LTh/2PTh with frameless lift-up doors, Volcano FDTh with frameless vis-à-vis doors and a huge expo hit - Volcano 3PLUh with triple frameless lift-up doors with a panoramic, horizontal view of the fire (680mm wide). Modern solutions shown during the expo included CLING closing system used in most of corner doors. Hajduk presented many different models – those used to heat air and those with water jacket, including a very interesting Volcano WPh/WLh 12 and 18. The visitors could warm up before our burning Volcano 1VT. Hajduk was awarded with Acanthus Aureus trophy for the best marketing strategy and for creating new opportunities. Once again Hajduk could present its fireplace inserts in Greece during INFACOMA expo, showcasing such famous models as Volcano 3PLh with triple doors, Volcano WT 18 with water jacket and many others. Bisitors were very interested in three constantly burning inserts - Volcano ATh, Volcano 1V 45cm and Volcano 2PTh (with frameless corner doors). The inserts astonished the public with their great view of the furnace, clear glass and shining, burning chamotte. 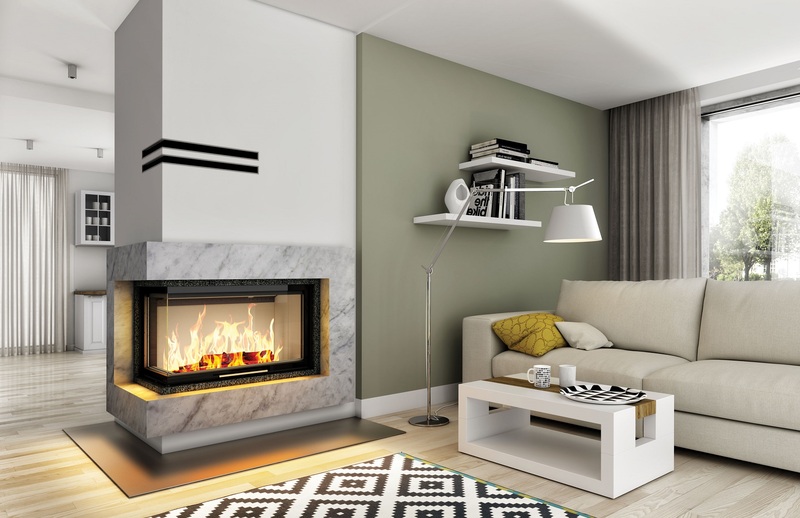 According to a survey conducted by one of the most popular home and interior design magazines, Hajduk was awarded twice in the Fireplaces and fireplace inserts category – for the most recognizable brand and for the most interesting company for investors planning to build a fireplace. Large home and interior expo gave our potential customers an opportunity to familiarize with Hajduk products and to see which heating solution will be the best for them. Among the presented models we were especially proud of Volcano 1VT with large 670mm x 510mm doors, Volcano 2Ph with corner lift-up doors and Volcano 2P with corner side-opening doors. All of our fireplace inserts were offered in a new, deflector technology version equipped with Jet Stream Superior air dividing system. Due to the most modern solutions, the instantaneous efficiency reaches 90% and conform to the most rigorous ecological and economical standards. Volcano 2Ph is also decorated with a very modern railing made of brushed steel. 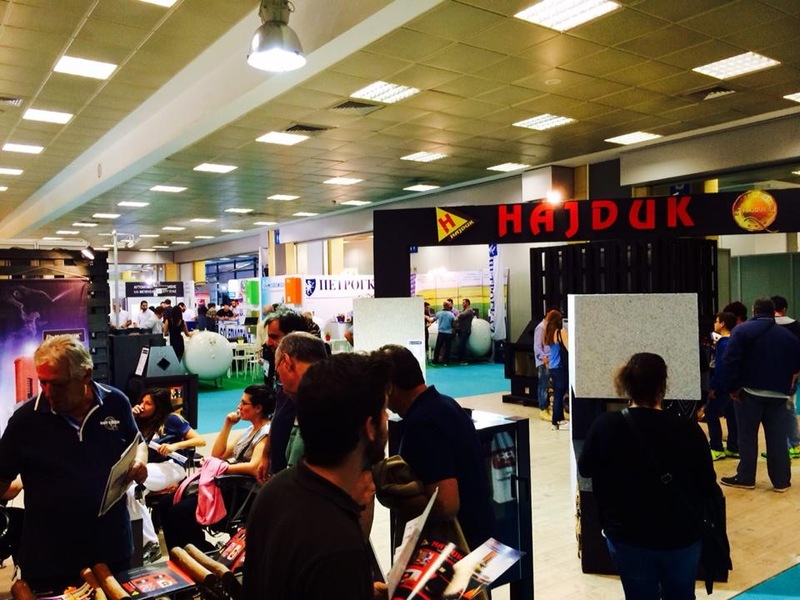 Hajduk was once again present during the International Fireplaces Expo. Our expo area had 120 sq.m. which gave us an opportunity to show everything we have to offer – not only fireplaces and free-standing stoves, but also additional accessories, like recuperators, fireplace doors, decorative frames etc.). 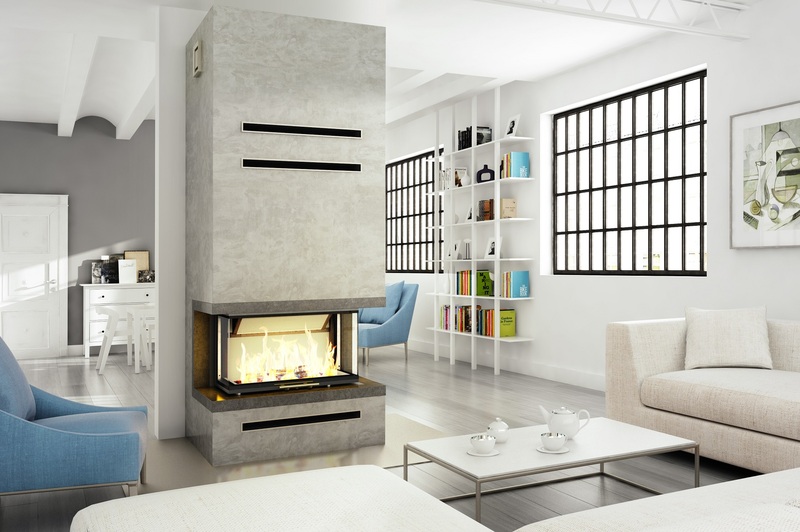 It was a showcase of new fireplace solutions and we wanted to show completely new technologies, like Volcano 3PLh – the first Polish fireplace insert with a view of the furnace from three sides and lift-up doors. We also presented Smart 1VT that conforms to the newest, strict standards and rules. 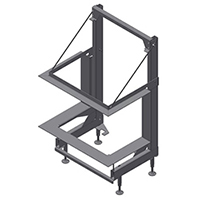 Our Vocano 1VTh and Prisma 1VTh with frameless lift-up doors were equipped with newest systems allowing for safe closing and appropriate pressure which can enhance burning process. Volcano V1 burned before live audience to show what our fireplace inserts are capable of. Hajduk also presented prototype constructions, such as a high-temperature furnace and Volcano inserts with water jacket used with closed heating systems. Our inserts with curved and straight doors were only the icing on the cake. Volcano 3PLh was awarded with a “great premiere” distinction, while our expo area was awarded with Acanthus Aureus for the best marketing strategy. 19th edition of home and interior expo in Kielece, where our local representative used a large, 48 sq.m. area to not only show his large assortment of granite, marble and sandstone, but also fireplace inserts made by Hajduk, like Volcano with corner doors, Volcano D with 1000mm wide doors and Volcano 1VT with deflector technology giving it an average efficiency reaching up to 85%. 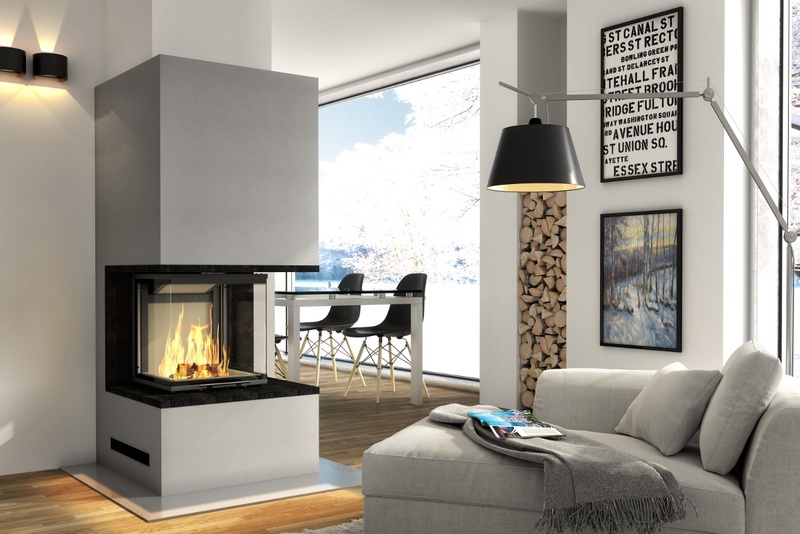 We also wanted to present our Exel insert with lift-up doors and a free-standind woodburning stove Pixel – a great alternative for those who want to buy a heating mechanism that does not demand an additional construction works. One of the largest construction and interior expos in 2012 allowed us to help our customers in choosing the best heating solution for their home and show them our fireplace inserts, including Volcano AT with large 750mm x 450mm doors presenting horizontal view of the furnace, Volcano 2Lh with corner lift-up doors and Volcano 1VT with frameless 670mm x 510mm doors. The last insert, due to modern technology used in its production, has an efficiency reaching 85% and conforms to very rigorous regulations of the German market that demand ecological work. 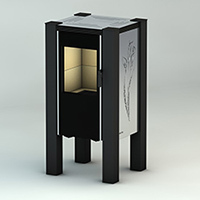 Pixel free-standing stove was offered in 4 different granite finishes and in INOX version with acid-proof steel cover. One of the most popular expos for those who design their interior, where Hajduk fireplace inserts were presented. Horizontal Volcano AT door with long 750mm x 450mm glass was our main product there, but we have also shown Volcano ATh with lift-up doors that are equipped with special mechanism that ensures the doors are properly shut. We also presented Volcano WPT with water jacket and curved glass. During the 18th edition of Kielce home and interior expo, new product lines from Hajduk were presented. The visitors could test the fireplace inserts like Volcano ATh with frameless lift-up doors and free-standind stove PIXEL. In addition, potential customers could observe how burning proceeds in our fireplace inserts: Volcano 2Ph, Volcano 2L, Volcano D standard and Volcano D LX extra with brushed steel doors. Aqua Therm expo is the largest event for producers of heating system in Ukraine. Our local representative showcased a lot of Hajduk products, including our splendid Prisma MDRh. The customers could also get answers to all their questions regarding heating and talk with us in Russian and Ukrainian. Once again Hajduk was represented by one of our partners during one of the largest home and interior expos in Poland. We have shown our most popular products – Volcano 1VT with frameless doors, classic Prisma K for traditional fireplaces and the newest Volcano ATh with lift-up frameless doors equipped with secure closing system. Additionally, Volcano ATh is inlayed with white, smooth chamotte. Free-standing stove PIXEL was the highlight of the expo – it is the first Polish stove that conforms even to the strict German rules of ecology and economy. PIXEL’s efficiency reaches 82% average efficiency, it’s power is set at 6kW and the harmful emission was restricted to the minimum amount. We are proud to announce that, once again, Hajduk was chosen as the most recognizable fireplace brand in Poland. According to the poll made by budujemydom.pl, Hajduk was recognized by 51,9% of the poll takers. One of the largest expo for home builders and designers was a great place to present our products, such as fireplace inserts with prismatic doors, half-cirle doors, corner doors, straight doors and large doors. Visitors were also able to see the inserts in different firelace configurations and materials (marble, granite, sandstone). Volcano AT with frameless doors and panoramic view of the furnace was a huge hit – it is equipped with two deflectors and a modern air direction system. On 14.05.2010 a fireplace training program took place. A fireplace with Hajduk doors was constructed – such choice was made, as Hajduk fireplace doors were used for many years in fireplace building. Furthermore, they can be custom made for any size, needs and wishes. 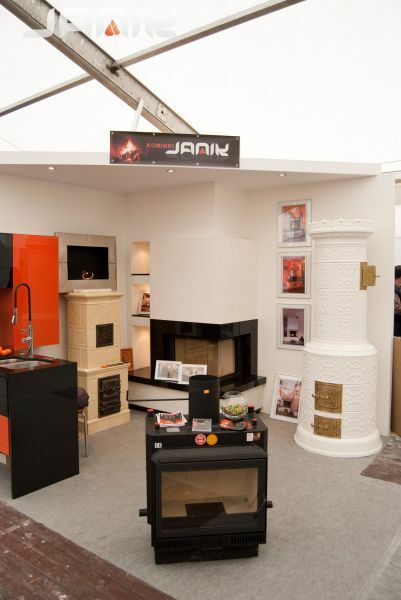 We were of course present during the largest installation expo, as it was the first edition that included fireplaces. Hajduk company used a 100 sq.m. space to present completely new products: PIXEL free-standing stoves, Volcano ATh and Volcano 2PT/2LT fireplace inserts. PIXEL stove (available in a wide range of colors) was a huge hit during the expo. One of stoves was constantly burning to show its porperties. LCD monitors were used to present our modern production process and the machines we use to create our advanced fireplace inserts. Our local representative that is a huge stonemason company presented our fireplace inserts as the best choice for fireplaces. 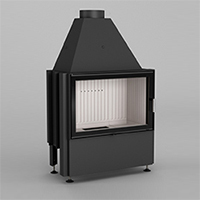 The offer included Volcano fireplace inserts, Prisma with lift-up doors and a completely new model – Volcano WT with water jacket and frameless doors. Its modern design makes it one of the most popular choices for contemporary interior designs. 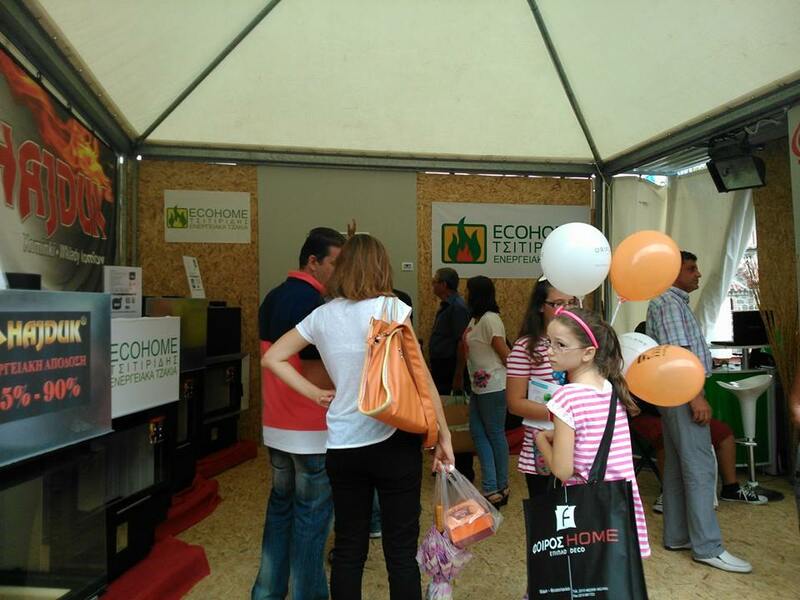 A huge audience of the Expo could see Hajduk fireplace inserts in action – our representative made a working tile stove and a fireplace using our Volcano 2Ph 51 insert. We also showcased a water jacket system with MKW insert with nominal power of 10kW. Hajduk fireplace inserts were presented just by the marble and granite products of our representative. The inserts were equipped both with standard doors and with decorative elements, including richly encrusted galvanized frames. 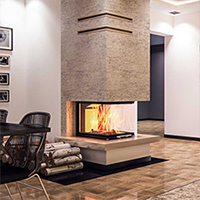 Volcano D LX Extra insert was the best received model, as it was made from a decorative brushed steel – a material that can be also used in production of other Hajduk fireplace inserts. We’ve provided a wide range of Hajduk products during the largest installation expo in Poland – prismatic, half-circle, straight and corner models. Lift-up fireplace doors were equipped with a Perfect Seal & Easy Roll system. We also presented our water jacket inserts Volcano WL/WP and a premiere product – Volcano 1VT with frameless doors. Our Czech business partner presented Hajduk products during large international expo. Our customers could see the best Hajduk steel-chamotte products. 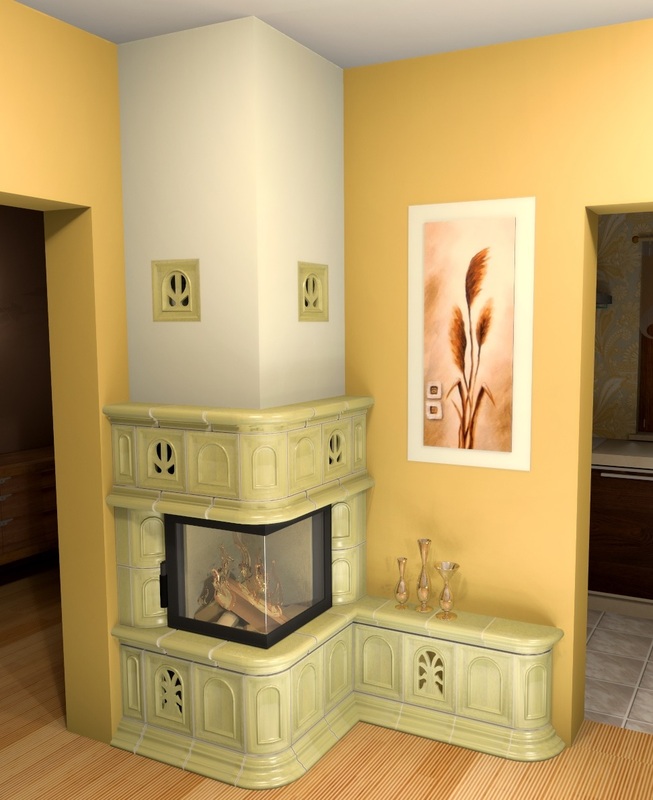 Although the competition on the Czech market is huge, Hajduk fireplace inserts, due to their looks and properties, were chosen by many visitors. Once again, Hajduk company was represented by our local business partner. A wide range of our products was showcased – fireplace inserts were equipped with straight, curved and corner doors. A Water Jacket model was also presented. Once again Hajduk has shown its products during this large expo – this time our representative presented Volcano W fireplace insert enclosed in tile-granite construction and Prisma KR LX Extra in satin chrome. We used computer presentations to showcase the capabilities of our products. Hajduk products for the first time appeared in Germany during ISH Expo – the largest heating and fireplace event in Europe. We presented a large assortment of our products, including air heating fireplace inserts as well as water jacket inserts. 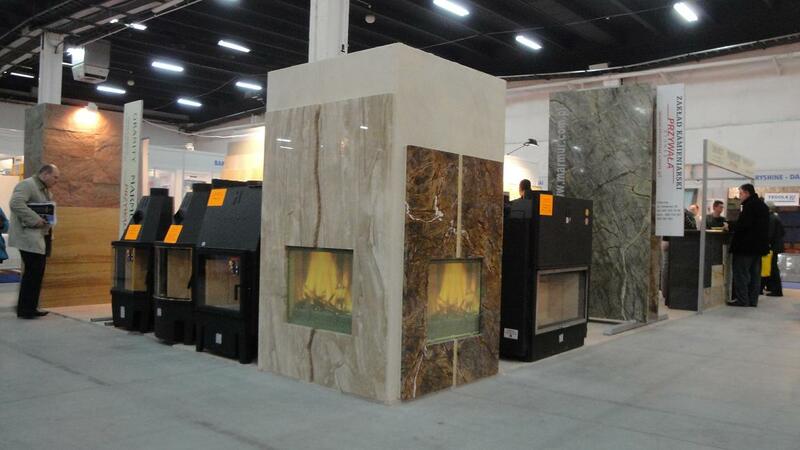 The expo is the best destination for fireplace producers and individual customers. Our wide range of fireplace inserts was showcased during the fall interior design expo. An expo organized in the Blue City shopping mall in cooperation with Toma company. We had an opportunity to present many Hajduk products, like Volcano D with huge (999 x 510) fireplace doors and satin chrome Prisma KR LX Extra insert. A water jacket fireplace insert MKW and water recuperator for fumes heat retrival were presented. The 15th International Construction Expo in Szczecin was held on 31.03-02.04.2006. 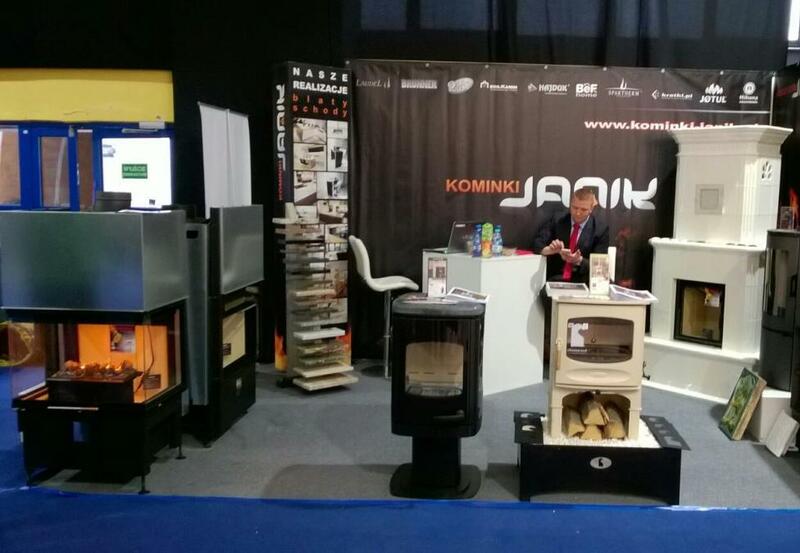 During the expo Hajduk in co-operation with the Sales Representative exhibited several models of the produced fireplace inserts. The fireplace inserts were presented in the enclosing made of ceramic tiles. The majority of Hajduk insert models are available with the height of the doors matching typical tiles' size. The MKW heating insert with a water jacket was also exhibited at the Expo. This solution allows to support the water central heating installation and to achieve considerable savings during the heating season. The Construction and Interior Expo Spring 2006 was held in Częstochowa on 30.03. 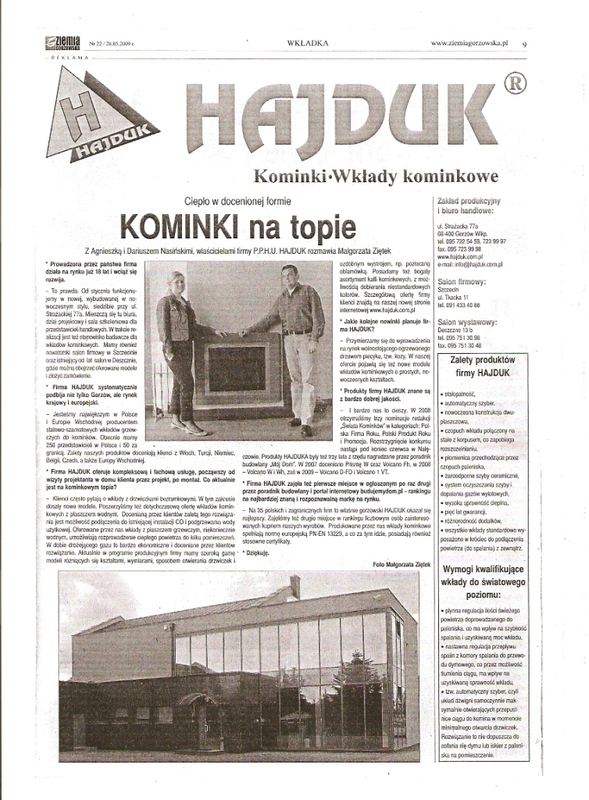 – 02.04.2006, during which the Manufacturing, Trade and Services Company Hajduk in co-operation with the the Trade Representative exhibited its fireplace inserts. Among the exhibited products there was the MKW heating insert with a water jacket that may assist the existing water central heating installation. 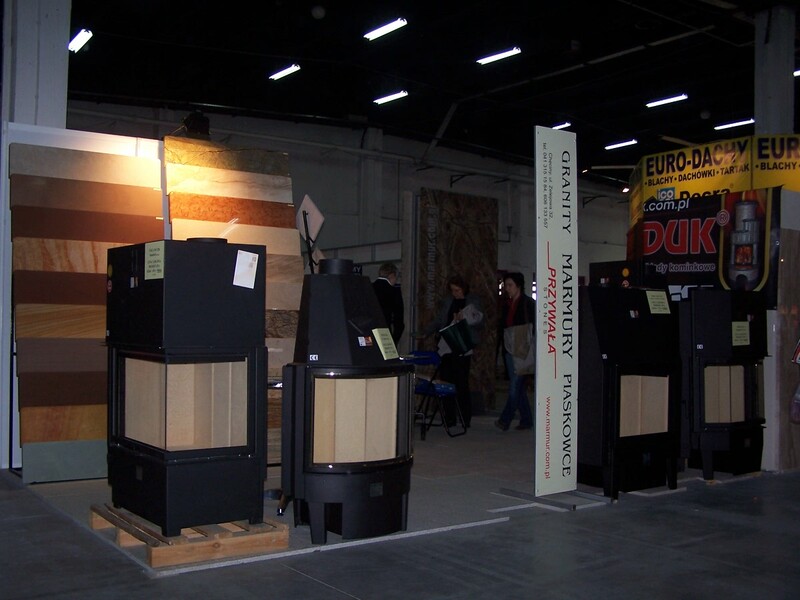 On 17-19.03.2006, the similar Construction and Interia Fittings Fair took place in Lublin, where Hujduk products were also shown. Due to its dynamic development, Hajduk fireplace company is about to commence the construction of the new office building... The construction process shall start in May 2006. 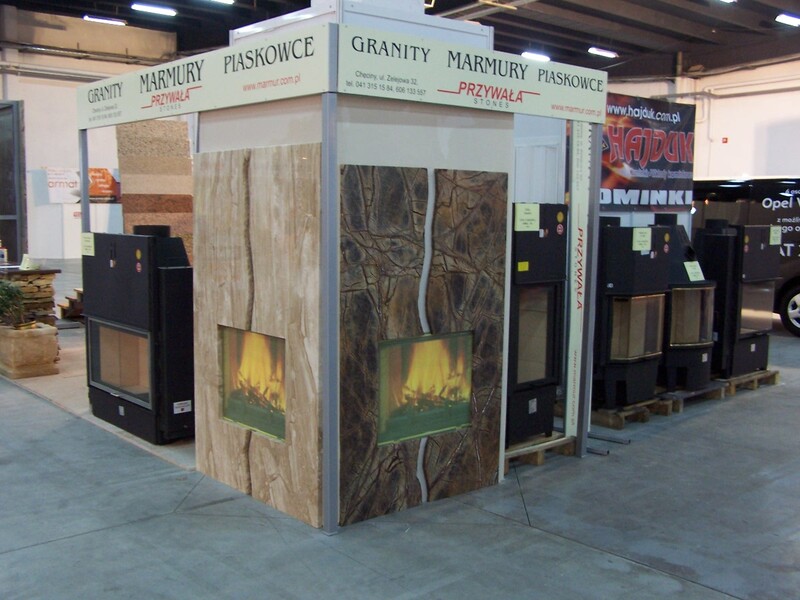 The ISH Expo, Frankfurt 2005 – the largest European expo for fireplace manufacturers. We were the first Polish fireplace maker to ever participate in this prestigious event.